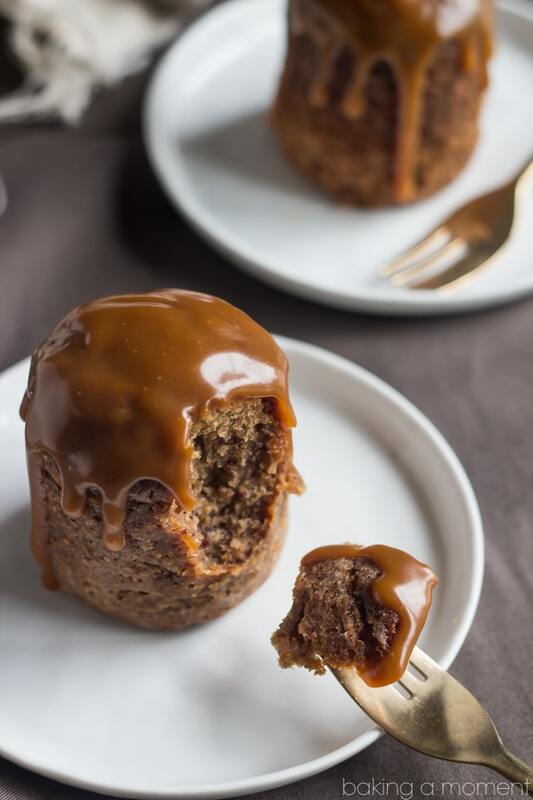 If you like the Dark and Stormy cocktail, then you’ll love this Sticky Toffee Pudding! The classic British dessert gets an upgrade with spicy ginger and dark, tropical rum. Top these melt-in-your-mouth moist cakes with an easy butter rum sauce for an unforgettably boozy treat! If you follow me on Istagram, then you know that all this week I am sharing manly desserts in honor of Father’s Day this weekend. What qualifies as a manly dessert? In my mind, it can be any number of things. Desserts with a spicy kick. Sweet/salty desserts, especially those that include bacon. Peanut butter. Boozy treats. It’s completely subjective, I know, but this is just how I personally see it. And this particular recipe hits quite a few of those bullet points. Not to mention the fact that my hubby (aka my kids’ dad) has been luuuurving the Dark and Stormy cocktail of late. If you’ve never had one, brace yourself because it just may become your new favorite summer drink. It’s simple as can be- nothing more than dark, tropical rum topped with spicy ginger beer. If you’re a fan of the Moscow Mule, you’ll probably really enjoy a Dark and Stormy too- it’s equally fizzy and refreshing, but with a bit more complexity. And I thought the flavors would translate really well into this spin on the traditional British sticky toffee pudding. It’s not actually pudding, at least not in the American sense of the word. In England, all desserts are referred to as puddings, even moist and buttery, melt-in-your mouth cakes like this one. Turns out I was right. Soaking the dates in rum was a very good move. Infusing the batter with lots of pungent ginger is something that we all should have been doing right from the start. And the butter rum sauce brings it all together in the most delectable way. I love using Gourmet Garden Ginger for recipes like this (and I’m not being paid to say that!). It’s so much easier than peeling and grating it myself, and whenever I have a knob of the fresh stuff in my fridge it inevitably goes shrivelly and moldy before I have a chance to use it all. That said, fresh ginger would work equally well. Or you could substitute with about 1 1/2 teaspoons of dried, ground ginger. I thought the butter rum sauce tasted really boozy and almost bitter by itself. At first I thought I might have a recipe fail on my hands. But, along with the cake, it all came together. 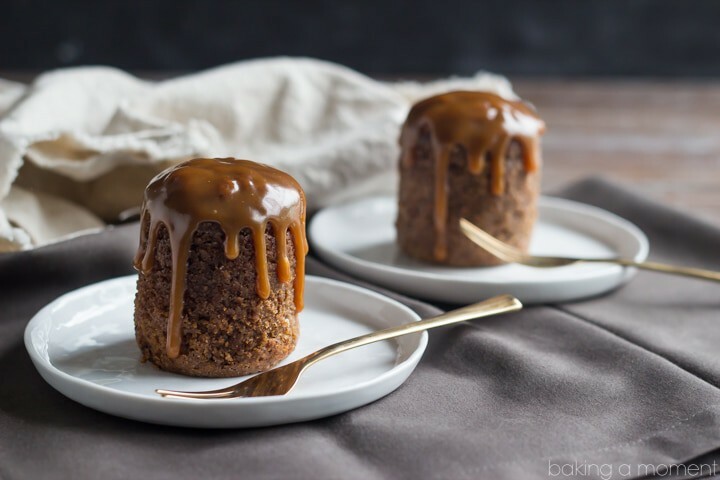 However, if you’re not always a fan of really boozy desserts, you could always omit or reduce the amount of rum, or try using this salted caramel sauce instead. These would be even better with a scoop of vanilla ice cream! Wishing all the Dads out there the most fun and relaxing Father’s Day! You guys so deserve it, for all that you do, and we love ya to pieces! If you like the Dark and Stormy cocktail, then you'll love this Sticky Toffee Pudding! The classic British dessert gets an upgrade with spicy ginger and dark, tropical rum. Top these melt-in-your-mouth moist cakes with an easy butter rum sauce for an unforgettably boozy treat! Preheat the oven to 350 degrees F and generously grease and flour (4) 8-ounce wide-mouth jelly jars. Place the dates in a small pot, along with the rum. Heat over medium high heat until boiling, then reduce the heat and simmer for 5 minutes or until the dates are softened. Transfer the mixture to a food processor or mini chopper and process until smooth. Add the egg, ginger, and vanilla, and mix until combined. Scrape the bottom and sides of the bowl with a silicone spatula, then stir in the reserved date mixture, flour, baking powder, and salt. Divide the mixture equally between the prepared jars, and bake for 35 minutes, or until a cake tester comes out clean or with a few moist crumbs. Cool slightly and top with warm Butter Rum Sauce. Place the sugar and water in a small pot and cook over medium-high heat, occasionally swirling the pan, until it turns a deep amber color. Reduce the heat to low and whisk in the cream. Stir in the butter and salt, and remove from the heat. Add the dark rum and transfer the mixture to a heat safe vessel to cool for about 15 minutes before serving. « Previous PostBlack Forest Waffle Sundaes and a Giveaway! Wow Allie these sound CRAZY good! I have a friend whose favorite drink is the Dark and Stormy! I also remember maybe, just maybe, having one too many of those on my honeymoon way back! I will definitely be putting these on the summer menu list! Great job! Thanks Mary Ann! I just love Dark & Stormy’s, and it’s pretty easy to find you’ve had too many, lol! Oh man, you had me at “boozy”. This sounds amazing, I really don’t think I’ve ever had a dessert quite like it! Aren’t boozy drinks so much fun!? So glad you like it Sam; thanks so much! I’m British so this pudding is right up my alley, love the Dark and Stormy twist and that sauce…OMG. I’ve actually never had toffee pudding OR a dark and stormy, but this looks AMAZING! Clearly I will need to be taste-testing it before sending to my dad. If i don’t eat it all first! Pinned! It really does! I first discovered the Dark & Stormy on a trip to Bermuda- it’s their national drink! I love a good dark and stormy and toffee! 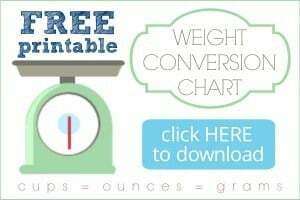 Your combination of those into a pudding is amazing! Not to mention these have me drooling all over my keyboard. I’m not a man, but I could easily down a dozen of these with the best of them! Delish!! Cheers to a wonderful weekend! Stick toffee is seriously my fave thing. This is amazing!! Wow thank you so much Jocelyn! I had no idea you loved sticky toffee so much! Oh my gosh this is decadent!! For realz!!! And I love all the flavors you combined so well!! Hope the hubby has a wonderful Father’s Day weekend. I’ve never had a dark and stormy, but I am well versed in sticky toffee pudding and this looks amazing. I need to try making it with your sauce. The sauce was pretty tasty! Hope you enjoy Janette; thanks so much! Dark and stormy is one of my favorite cocktails, and I loved that you transformed it into a dessert! The last time I had sticky toffee was in England, and oh, do I want a bite of this now! Hey Anne! As long as they’re well greased and floured they should slip right out. Just make sure you’re using the wide-mouth type jars. Good luck! Such an awesome boozy treat, beautiful pics as always too! Allie, I love that you were inspired by the Dark and Stormy cocktail!!! I’ve never had one but LOVE Moscow Mules so now I will love it! 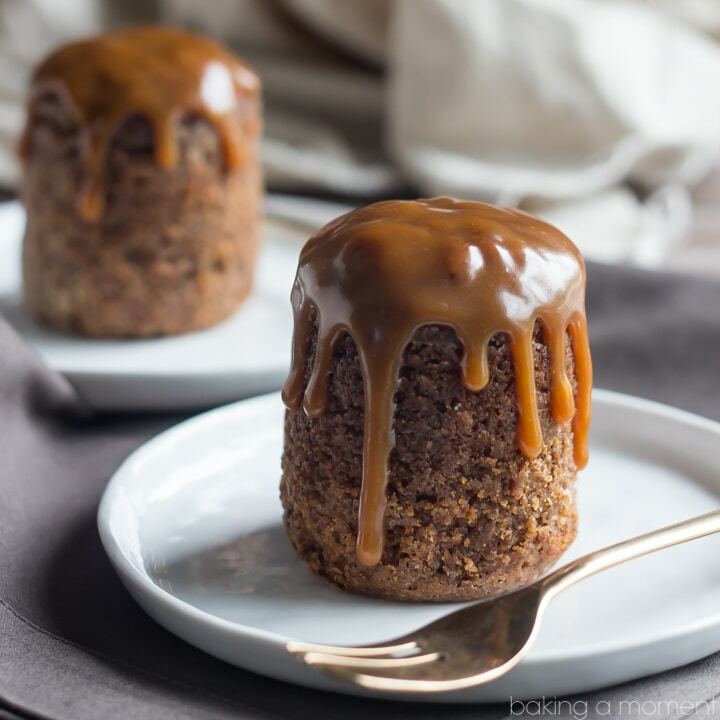 Your sticky toffee pudding cakes are gorgeous!!! Wishing Mr Allie a fabulous Father’s Day weekend!!! Haha love it! Thanks so much Justine! Obsessed with the name of these toffee puddings. It’s winter and rainy here in Australia – so hearty and comforting desserts like these are definitely in order! That’s so great- it’s perfect for those kinds of days because it is a bit of a comfort dish. So happy you like it, thank you Thalia! This is an inspired and delicious-sounding twist on a nostalgic recipe – love it! Now that I’ve read this recipe of yours, adding something boozy to the sauce sounds as natural as anything. Love the addition of the ginger, too. You’ve also got me really intrigued about that cocktail. Got to try one of those. P.S. I also love how you’ve drizzled the sauce on these so perfectly! I’m afraid I would drown my pudding with half the sauce, but the way you’ve done them looks so elegant! Aw, thanks Helen! I can be so superficial when it comes to stuff like that- careful and a bit stingy with the sauce for photos, but the minute I’m done snapping I go right ahead drown it before scarfing it down, lol! So happy you liked this and yes! Try the cocktail! You won’t be disappointed! LOVE this! 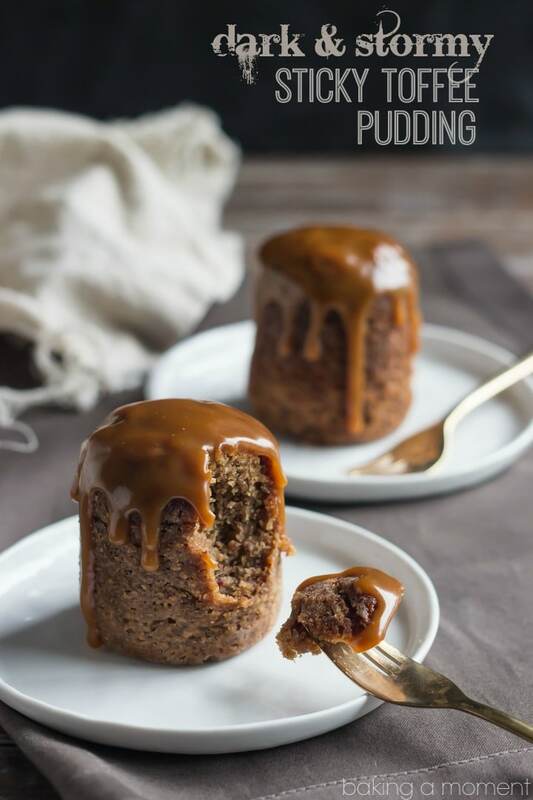 Sticky toffee pudding is one of my favourite childhood puddings! So good – love the boozy twist on this, Allie! Your pictures are stunning! This looks too gorgeous to eat, Allie! I’ve never had a toffee pudding but I love toffee, so I’m sure I’d love this. I bet you would too Jen! Thanks so much and have a great week! Thanks Kelly! I hope your hubby did too! I’m already in love with this dessert just by looking at it, so decadent, exquisite and rich! Allie, also your photography is beautiful, love your blog and personality! Aw, thank you so much Katalina! That is such a wonderful compliment and it truly means the world to me! Haha love it! Thanks so much Nicole! Allie – I’m in love! My dad would go nuts over these. I wasn’t able to spend actual Father’s Day with my dad, but we went out on Friday to celebrate. Thank you for sharing these with us. I’ll have to make these for my dad soon. That’s so nice! I’m so glad you got to spend some QT with your dad. Hugs to you both and thanks for the sweet comment! Thank you so much! I’m so glad you did too! Thanks for the sweet comment Sophia! What a great idea for re-working our national drink! I wonder if I could sub Barrit’s ginger beer for the water in the sauce. Will be posting this on FB for all my fellow Bermudians to see! Hooray! Hope you and your Facebook friends enjoy! Thanks so much Jackie! Just checking my FB feed – Gosling’s Rum has shared my post of your recipe and shared it with their 62K followers! This looks awesomeness maybe I’m just missing it but when do you ever mix in or use the dates mixture from step 2? Thank you so much for pointing out my omission, Paul! The dates go in just before the flour. I’ve updated the recipe card. Thanks again and enjoy! This is literally my fav dessert!! How delicious, I love sticky toffee pudding!